that your SOUL wants to live in. We are the Mobile Concierge Wellness Experts bringing Integrative Wellness to the Comfort of Your Home. It's your Life. Live it well! We specialize in female circle-of-life massage. It's not as complicated as it sounds. It encompasses Fertility, Pregnancy, Postpartum, Infant, Oncology and End-of-Life Massage. A woman's body is her temple, and we will TREAT your body like the temple that your soul wants to live in. Your pregnancy is a time of joy and wonder, but it also comes with fundamental changes to your body which can leave you exhausted and achy. Prenatal massage can help ease those muscle pains and make you feel more at home in your body. Our therapists are certified in prenatal massage, a vital prerequisite for this modality. In our sessions we will free restrictions in the uterus using massage techniques, CranioSacral Therapy, and Eastern modalities such as acupressure and Shiatsu. Fertility massage, as practiced in many cultures, can be a wonderful addition to your regular fertility treatments . Your little one is finally here. Now it's time to give your little one the best possible start. 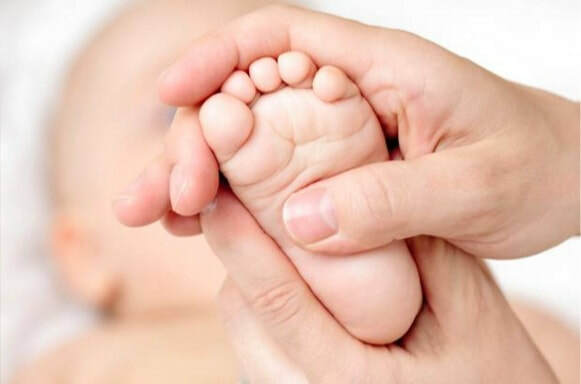 Our Infant Safety and Wellness classes are designed to teach you four of the most important skills any new parent can have: Infant First Aid CPR/AED, Infant Massage, Home and Travel Safety as well as organic cooking for baby . Regular massage promotes many vital functions in your body. Don't view it as a luxury but as a necessity that you should incorporate into your health routine. After all you were only given this one body to live in. Treat it well and make your own wellness a priority every day. We customize each in-home massage to the need of our clients. Every cancer treatment is different and has different effects on each patient. Our loving and compassionate approach coupled with extensive experience in palliative touch therapies will help you feel better before your next chemotherapy and during your recovery period. Therapeutic massage may relieve pain by relaxing painful muscles, tendons, and joints; relieving stress and anxiety; and possibly helping to "close the pain gate" by stimulating competing nerve fibers and impeding pain messages to and from the brain. Our approach is a very gentle shift towards complete health, happiness and fulfillment by slowly incorporating good habits into your live. No single person is the same. And no single lifestyle fits everyone. At TREAT we custom-blend bodywork, exercise, holistic nutrition, life coaching, and guided meditation practices that suit you and fit your lifestyle. We will gently guide you towards that bright and shining light that is YOU and soar towards your highest potential. © COPYRIGHT TREAT Integrative Wellness 2019. ALL RIGHTS RESERVED.